SACRAMENTO, Calif. /California Newswire/ — A measure, SB 1342, authored by Calif. Senator Tony Mendoza (D-Artesia) that would protect workers by paving the way for a statewide mechanism at the local level to fight wage theft, was approved today by the Senate Judiciary Committee on a bipartisan 6 to 0 vote. The bill now goes to the Senate Floor for consideration. “As counties and cities in California move to raise the minimum wage, we must ensure that our low-wage workers, who already face so many challenges, receive the pay that they have earned. 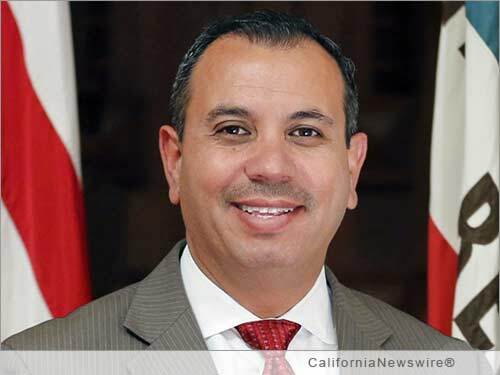 This bill will allow cities and counties throughout the state to investigate non-compliance with local wage laws,” said Senator Tony Mendoza. Wage theft occurs when an employer does not pay a worker all of his or her earned wages. This includes unpaid minimum wage, unpaid overtime, and off-the-clock work. Wage theft among immigrant and low-wage workers is pervasive statewide and hurtful to workers and their families. It reduces the take-home pay of workers, contributing to food insecurity, and unstable housing, amongst other issues. Local governments across the State have raised their local minimum wage. Wage enforcement resources have not kept pace with the scale of wage theft in California. “Making it clear that cities and counties possess the ability to delegate subpoena power for minimum wage theft investigations will provide Californians with greater assurances against employers who would try to deny workers their justly-earned pay,” said Senator Mendoza.